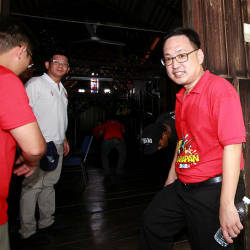 11 Feb 2019 / 13:12 H.
SIBU: Datuk Andrew Wong Kee Yew, former deputy chairman of the Sibu Municipal Council and the only son of Sarawak Second Finance Minister Datuk Seri Wong Soon Koh, died at his home in Jalan Ipoh here last night. 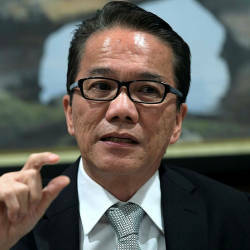 Kee Yew was found unconscious on the floor of the dressing room in his bedroom by his mother, Datin Seri Leong Poh Lin. 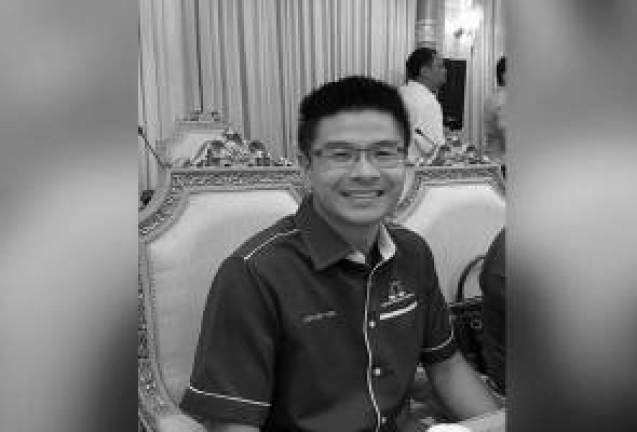 It is believed that he died of a stroke but Sibu Police chief ACP Stanley Jonathan Ringgit said an autopsy would be conducted to ascertain the cause of death. “We have to wait for the report from the pathologists. We do not know when they will conduct the autopsy, but I was here last night and in our preliminary investigation we did not find anything suspicious. 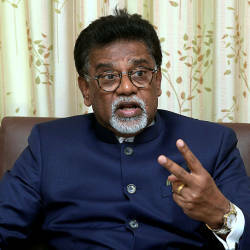 The case has been classified as a sudden death report (SDR),” said Stanley. He was met by newsmen at the Wong residence today. Also present were Soon Koh and Leong. “It is really sad. Yesterday we were taking photographs and celebrating (Chinese New Year),” Leong said and asked the press and the public not to make any speculation and to give them some privacy. Yesterday evening, Leong had called Kee Yew to come down for dinner but he did not and she thought he needed some rest after a tiring jet ski trip to and from a longhouse in Nanga Tutus, Batang Igan. At about 9 pm some of Kee Yew’s friends came to the house, saying he had called them to come to celebrate Chinese New Year. Leong went to look for him in his bedroom but did not find him there. She inspected the dressing room, which was not lit, and found him unconscious on the floor and immediately called medical personnel from two private hospitals here. “They came and tried to resuscitate him for about one and a half hour to two hours. At 11 pm, they said ...,” said Leong, who was overcome by emotion. Soon Koh said Kee Yew had left the house at 7 am with a team of 4x4 car enthusiasts and went to Rumah Ukah in Nanga Tutus on a jet ski. He said it took one hour to get there and another hour to get back to Sibu.